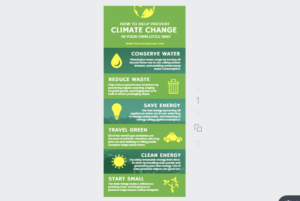 Canva is an online design tool that offers users the opportunity to create professional-looking posters. Canva can be used to create a variety of images, including event flyers, resumes, cards, certificates, and infographics. The tool allows students to design posters to showcase their knowledge in a visual way. With 13.1 million users and over 95 million designs created, Canva is a very popular digital tool for Internet users. The tool was created by Melania Perkins, Cameron Adams, and Cliff Obsrecht in an effort to teach the basics to the students who struggled to learn graphic design. 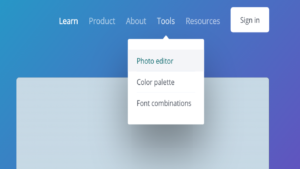 Canva is accessible in eight different languages. This collaborative tool allows students to share their works and request feedback from their classmates. 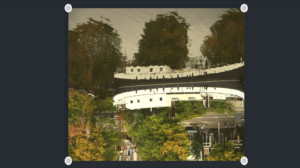 Students can use Canva to construct and show knowledge. They can also capture photos or videos of their class work, homework, assignments, school activities, post those in their own account, or a class account, and have discussions about the posts. Teachers can use Canva to design visually appealing infographics, posters, and images to complement text-heavy learning experiences. Substitution: Each student creates a poster about air pollution (rather than draw it on paper). Augmentation: Students share their air pollution posters with each other and provide feedback online through the Canva team feature. Modification: Each student works with a classmate to collaborate on the creation of a poster about air pollution. Redefinition: Students share their posters with the public via social media, solicit feedback, and invite people to collaborate on their poster. Far too often, technology is used as a direct substitute for other low-tech tools (e.g., pencil and paper). While substitution has some benefits (e.g., students develop their technology skills and knowledge), we encourage you to think about how you might use Canva to modify or redefine learning. 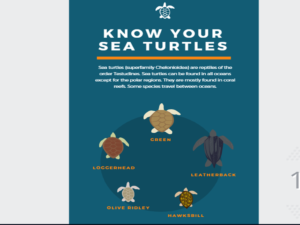 In Canva, have your students use infographic templates and create infographic about animals. 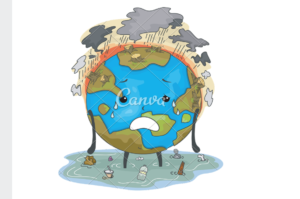 Encourage students to design climate change posters to raise public awareness about an important environmental issue. 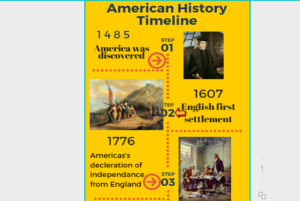 Have students use the “Infographic timeline” template to visually map a specific time in history. 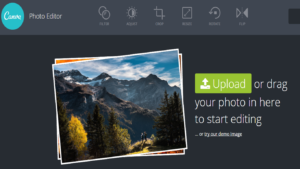 Have students open Canva Photo Editor and upload and edit any photo that they want. This way teacher assists students in unearthing students’ unique creativity. See an example of it below. Click “Share” on the top right to share your blog graphic either with others to view or edit your design or on social media OR click “Download” on the top right to download your design.